HITMAN Elusive Target 18 is coming on Friday 13 this January. You have 7 days to eliminate your target, Chameleon. 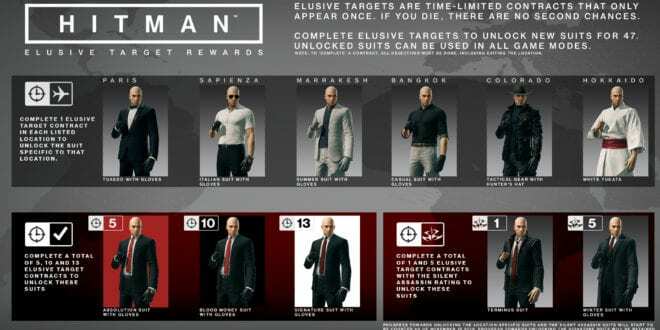 Chameleon will be in Colorado for one week as your next elusive target. Eliminating and finishing your part of the job will grant you Tactical Gear with Hunters Hat as your reward. 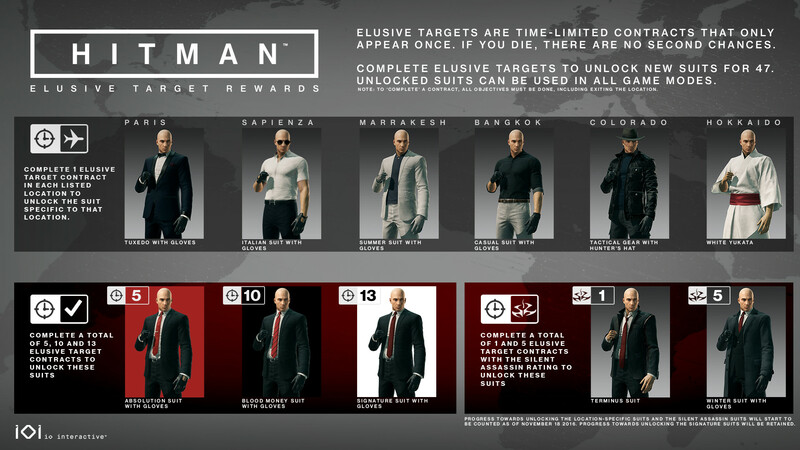 You can also unlock the Winter Suit with eliminating Chameleon but only if you complete your task to kill five elusive targets with a silent assassin rating. You have only one chance to earn the Winter Suite. 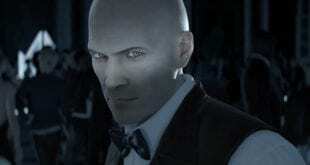 Your final mission is to kill Richard M. Foreman and to retrieve the documents as your main objective. 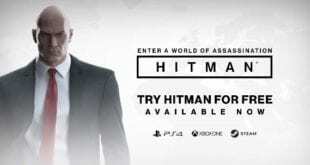 You also have special contract conditions which contain killing the target with a non-explosion accident. Good luck and share your reward with us.